Coaching has always been a foundation offering of Big Cheese Coaching since 2003. I work with careerists throughout the continuum of their careers. They may be established leaders, emerging or potential leaders, or maybe just starting out in their careers. I support clients throughout a wide spectrum of coaching needs from discovery and insight to help them clarify goals, learn about themselves so they can make good decisions and put their best foot forward, fine-tune plans, and more confidently manage all the tactical ‘how to’s that are associated with their highest priority goals. 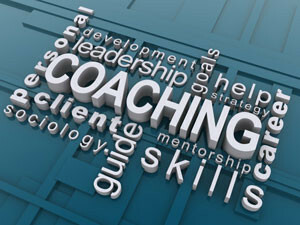 Coaching programs are customized and can be focused on any number of these themes. These are just a few areas of support. Note, you don’t have to choose only one focus. Many clients come with a mix of what you see below. CAREER MOJO: Love your work or ho hum? Whether you are employed and looking to reconnect with a spark for your work-life or you are thinking about what’s next in your career path, this program focuses on career mojo helping you identify what you need for work-life fulfillment and how to create it either in your existing job or in your next role. CAREER ADVANCEMENT: You are ready for something more in your career and could use some support to help you articulate what that next step might be and how to go get it. CAREER TUNE-UP: Your career is going well but you recognize to stay on your toes, it would be a good idea to check in to make sure you are doing all that you should to stay career-ready and start to think about what you need to do today to ensure you are prepared for what might be coming next. LEADERSHIP-ABILITY: Whether you are a new leader, an established leader or getting ready for a leadership role there is always room to up your game on the leadership front. Leadership draws on both an inner game and outer game set of skills and abilities. Your skills in self awareness, self management and confidence are crucial to your leadership effectiveness. Equally important, are communications and relating skills to inspire, coach, and lead others to success. All programs are customized to your particular needs, interests and circumstances. SOMETHING ELSE? Personal/Professional Communications Efficacy? Stress Resilience? All is well but perhaps you are in need of some support to help you further develop some more specific professional/personal skills such as communications? Emotional Intelligence? Managing stress and overwhelm. These too are big parts of my offerings. TRACK RECORD HELPING HUNDREDS OF CLIENTS SINCE 2003. Agendas may differ but here’s what many of my clients have in common. They want to a career that fits and feels right. They want to be happy, engaged and fulfilled in their work. They are motivated and ready to lean in and take responsibility for their success. They are open and excited to learn, grow, and further develop themselves – and recognize you never stop growing and learning. They could use some support in some areas and value having a trusted, objective partner who can help them navigate their work and life goals. Clients begin with a Discovery session and then work with me over a continuum of sessions. The number of sessions depends on the coaching needs and goals. For shorter mandates, clients might start with as few as a handful of sessions; others may engage with 8, 12 or more. We can decide together what might be a productive way to start – and we offer lots of ‘flex’ along the way. Are we a fit? It’s important that you find the right fit for your needs. And it’s important for me as well. I work well with people who are ready to lean in and invest in themselves. You are excited about learning, discovering and creating new possibilities. You are motivated but could use some guidance. You might feel a bit (or a lot) stressed and maybe even temporarily ‘lost’ with your situation – don’t fret, I’ll help you quickly get more clarity, confidence and direction. And with that clarity, you know you can count on yourself to honour your commitments and be accountable to doing what you need to do to get results. You’ll never have to be alone – I’m here to support, but I’ll count on you to do your part. Wondering if you need to be a leader to work with me? While I do work with a lot of leaders, I also work with younger careerists who may not yet be in positions of leadership (and may or may not aspire to be in one), but they have a ‘leadership mindset’ (as per the notes just above). READY TO MAKE SOME POSITIVE CHANGES? Grow yourself and your career? Feel happier in your work? Feel more confident in managing the opportunities and challenges ahead? Get in touch to learn more and let us know what you are interested in. See here for further information about credentials and background. Read what others have said — check out the testimonials page.